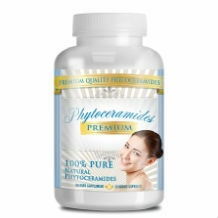 The Phytoceramides by Dazzler Beauty is a product that is well known for seriously combating all the signs of aging. Women, as you know are very conscious about how they look and they are adamant about keeping a youthful appearance. Well, this product is great for decreasing fine lines and wrinkles on the face. Dazzler Beauty has made sure of it by launching Phytoceramides as their very first skincare product. Ceramides are naturally in our bodies, but with time, especially as you age, it becomes less and less in the body, thus increasing the laugh lines and crow’s feet we all dread to have. The Phytoceramides product by Dazzler Beauty provides these Ceramides, which are part of the ingredients and helps the body regain the hydration and moisture it was lacking. Furthermore, these moisture is retained, enhancing healthy skin that gives the skin a more toned, clearer complexion with a decrease of fine lines and wrinkles. What about having a natural face lift that does not require recuperating or suffering from various effects of surgery? The Phytoceramides supplement can provide just that. It doesn’t give specifics on the amounts of each ingredient and that is not a good sign. You should always seek the advice of your doctor, especially in cases like these where you have not a clue about how much of the ingredients are in the product. There is no Dosage recommendations given by Dazzler Beauty. In each bottle of the product though; there are thirty capsules. So the assumption would be this is a thirty day supply. But it’s best not to make assumptions. First research and find out. There are no outlined side effects for the Phytoceramides by Dazzler Beauty. The price for this product is eighteen dollars and forty five cents for each bottle that has a supply of 30 capsules. There is no guarantee outlined for the consumer by the manufacturer, but there is a disclaimer stating that there is no warranty for the product and that it should be purchased and then used AS IS. Two words: RED FLAG. It is quite commendable that all the ingredients in this product are natural. From the non disclosure of ingredient measurements to lack of no guarantee, or dosage stipulations, that is what the Phytoceramides Dazzler Beauty product offers. There isn’t a specific amount indicated for each ingredient. There is also no FDA seal of approval for the product which guarantees high quality standards during and after manufacture of the product. There are also no side effects for the product .